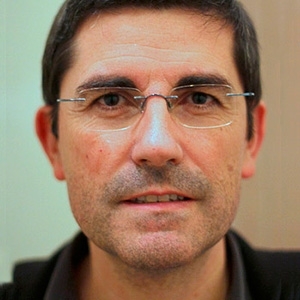 Xavier Serra is the head of the Music Technology Group. After a multidisciplinary academic education, he obtained a PhD in Computer Music from Stanford University in 1989 with a dissertation on the spectral processing of musical sounds that is considered a key reference in the field. His research interests cover the analysis, description and synthesis of sound and music signals, with a balance between basic and applied research and approaches from both scientific/technological and humanistic/artistic disciplines. Dr Serra is very active in promoting initiatives in the field of Sound and Music Computing at the local and international levels, being involved in the editorial board of a number of journals and conferences and giving lectures on current and future challenges of the field. He has recently been awarded an Advanced Grant of the European Research Council to carry out the project CompMusic aimed at promoting multicultural approaches in music computing research.